Back in march,west delivered a lecture to the Oxford Guild society and dripped a few gems thankfully , video footage of the speech was finally released on monday (Dec 7). 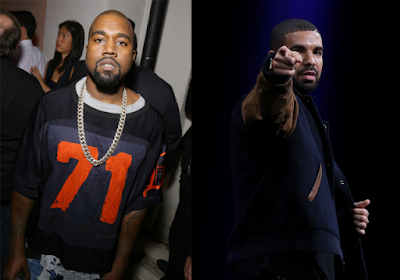 The rapper spoke on many things ,from his biggest weaknesses , to his ego, and even about how Drake has helped him along "one of my biggest problems, one of the biggest Achikke's heels has been my ego" West says ''And if i ,kanye, the very person, can remove ny ego ,i think there's hope for everyone''. And if you are wondering who might've been a helping hand in kanye's new mindset then drake would be the main man behind it all "i think that's been a progression of mind with the advent of a human being named Drake , west share. Back in March, Kanye West delivered a lecture to the Oxford Guild Society and dropped a few gems. Thankfully, video footage of the speech was finally released on Monday (Dec. 7). ''you know .this idea of holding onto a No1 Be . And then you get this guy that comes and blows out the water ,every No 1 of any band ever .Be it me or paul Mc Cartney .And at the point ,you know when you've lost the idea of holding onto that concept , you can leave the mountaintop finally . and walk down , and readjust , and see what your position on earth can be''.